Shimla: The State Government was contemplating to open Sanskrit University in the State to promote Sanskrit language in a big way. 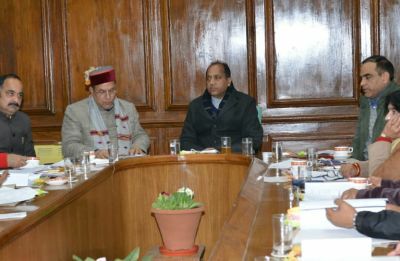 This was stated by Chief Minister Jai Ram Thakur while presiding over the meeting of Himachal Pradesh Sanskrit Academy here today. The Chief Minister said that Sanskrit was one of the oldest languages of the world and was computer compatible. He said that the State Government has decided to give second official language status to Sanskrit in the State. He said that the Government was ensuring its proper growth, popularity and prevalence in the State.